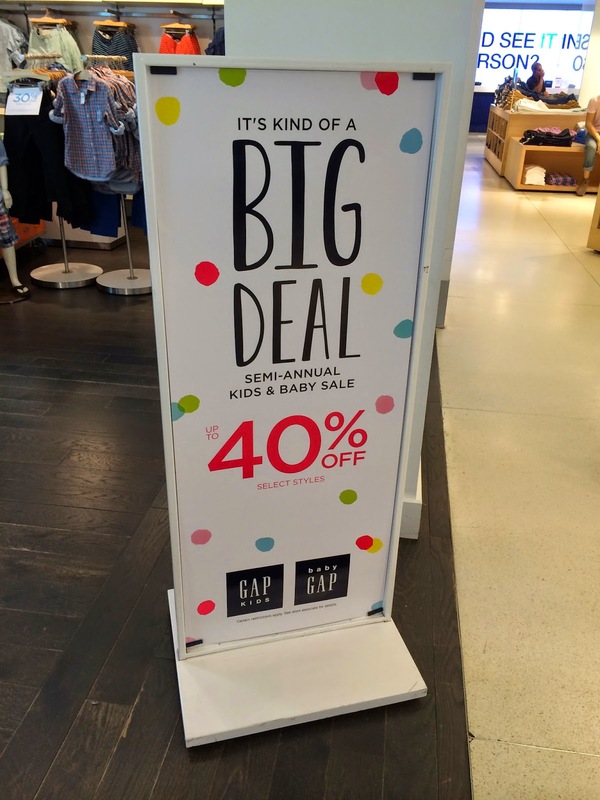 34th Street Weekend Picks: Gap, Levi's, Zumiez, and More! 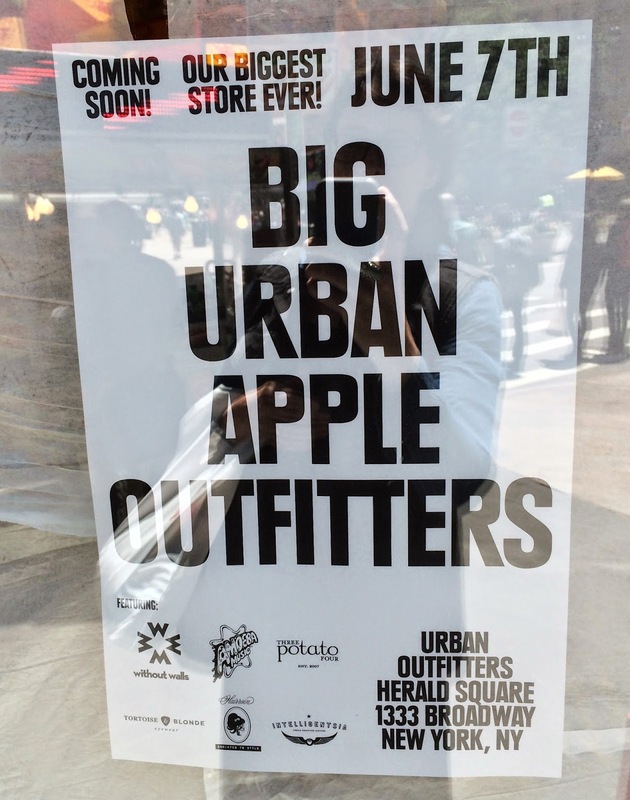 The big Urban Outfitters Herald Square opening day is Saturday, June 7th, and we can't wait. 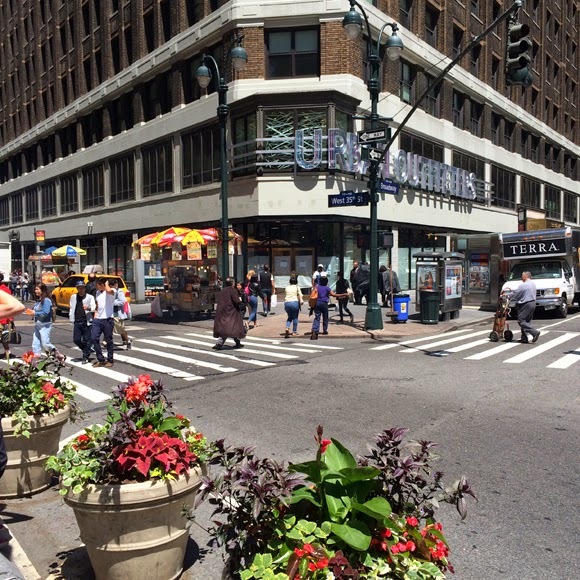 Looking towards Urban from Herald Square at 35th and Broadway. 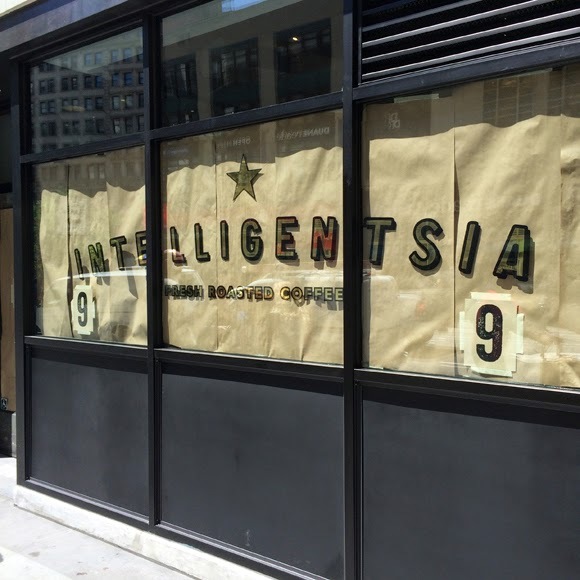 Yes, this is their biggest store ever, and will be home to Intelligentsia Coffee, without walls (buying this entire page), West Coast independent music store Amoeba Music, Three Potato Four, Tortoise & Blonde, and LA's Hairroin Salon. 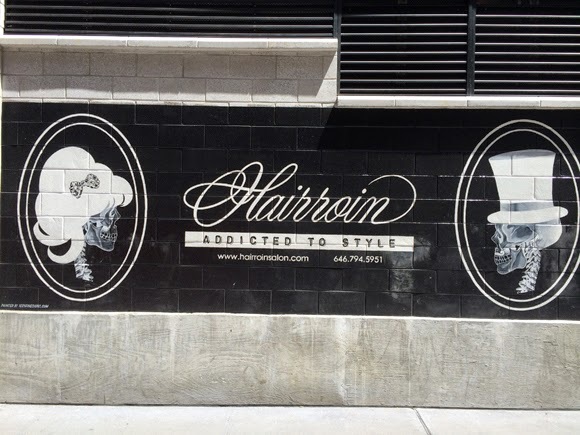 35th Street entrance and Hairroin salon locale. This is a huge addition to the retail scene in the 34th Street District, and we couldn't be happier they are moving in. 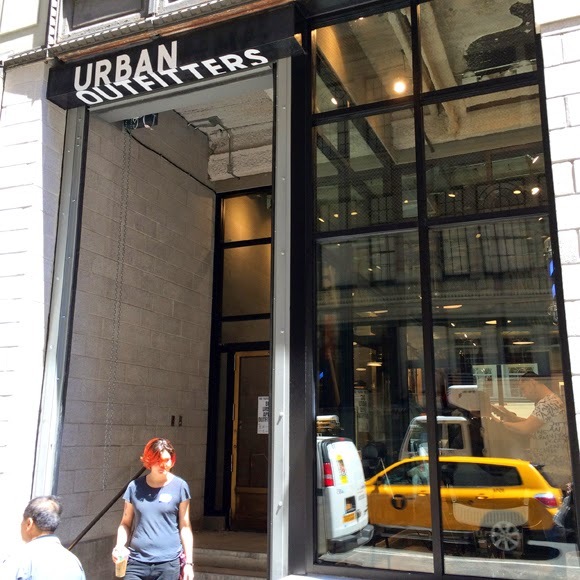 Welcome, Urban Outfitters, to one of New York City's busiest retail corridors! 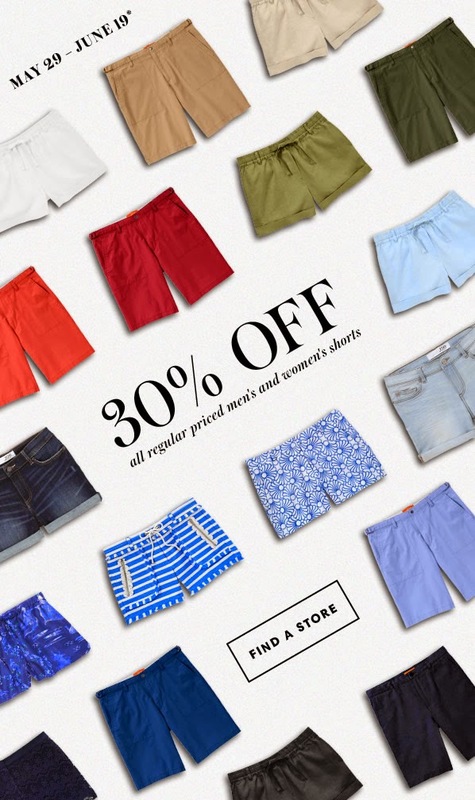 Trying to keep it bright and cheery post-Memorial Day weekend? 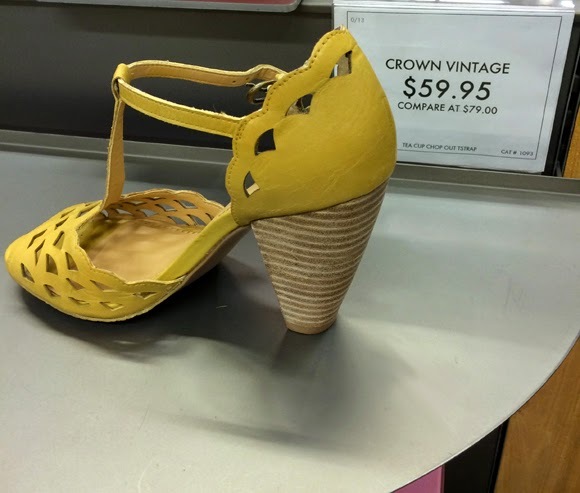 Go get this pretty and well-priced shoe from Crown Vintage at DSW on 34th Street. 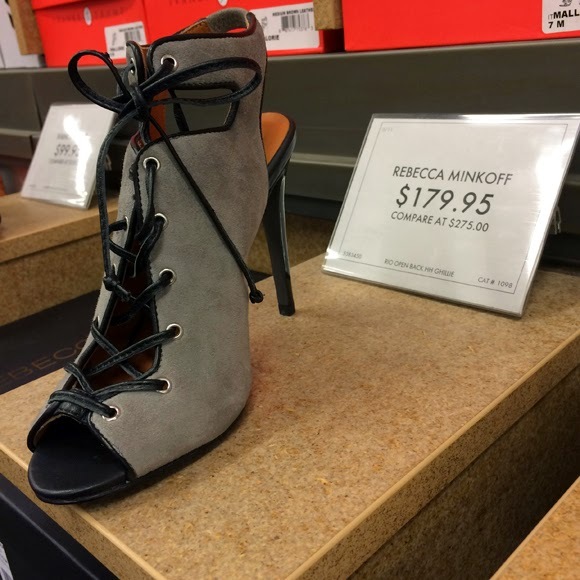 Comfort and t-strap cuteness, all for just under $60. 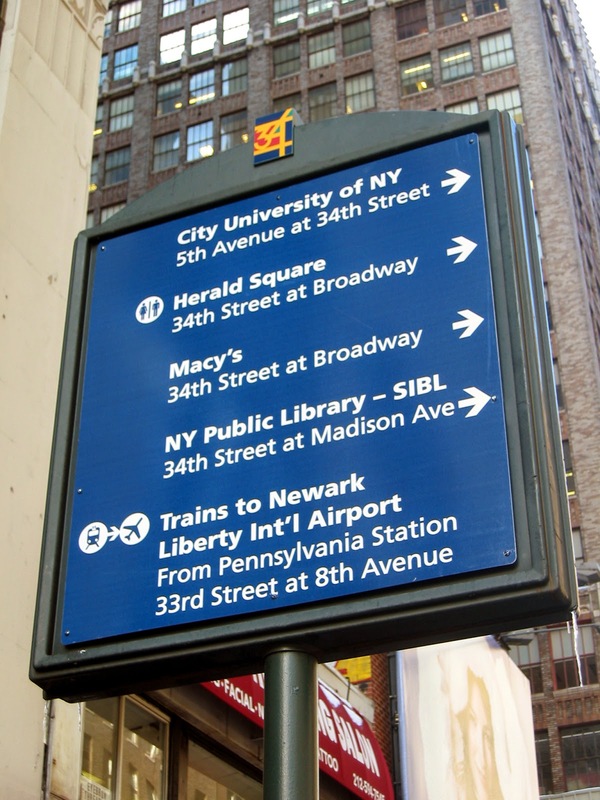 Today's post subject is particularly close to my heart as I see them almost every day: New York City street signs recently retired from the 34th Street District. 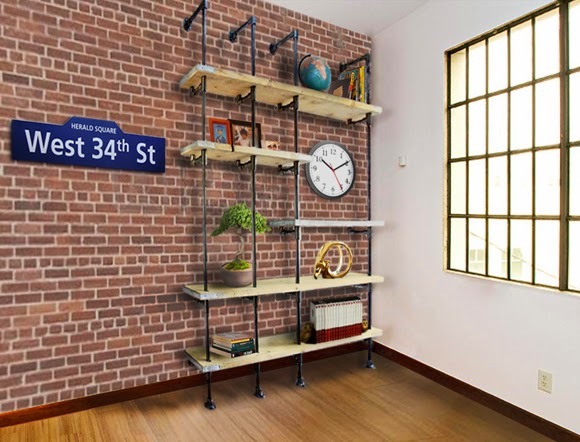 Shop these custom-designed street signs on our sister company's shop. Need I say this is possibly the most perfect Father's Day gift you'll find this year?! 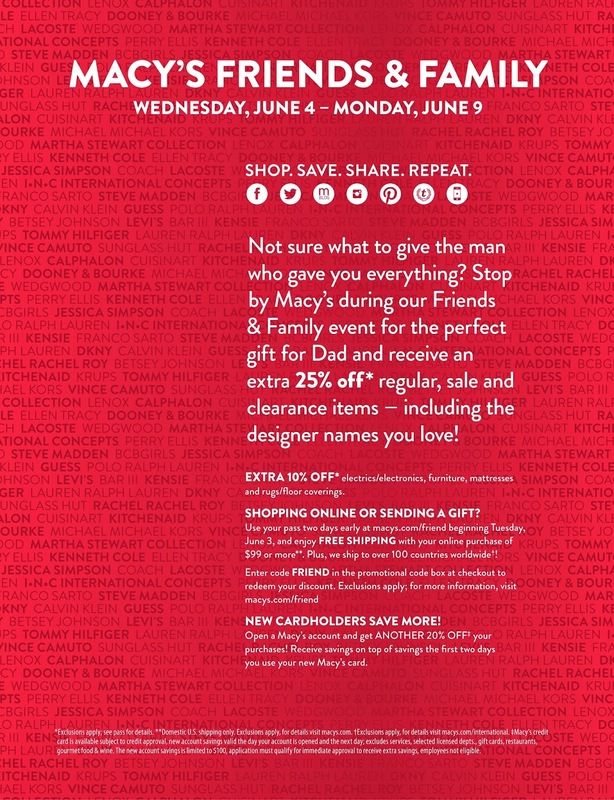 And if you buy before Father's Day, you'll get a free Bryant Park book and t-shirt. 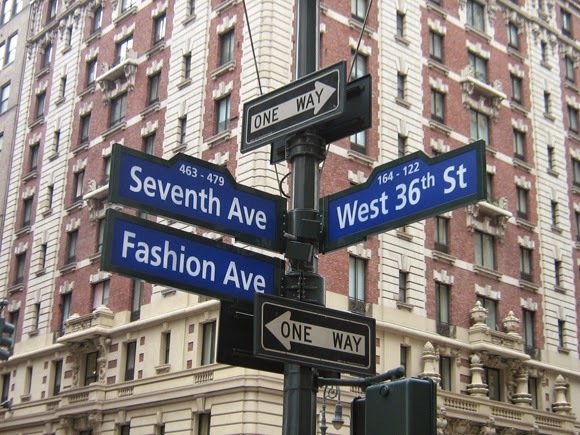 * For a full range of streets (Broadway to 34th Street to, yes, Fashion Avenue! 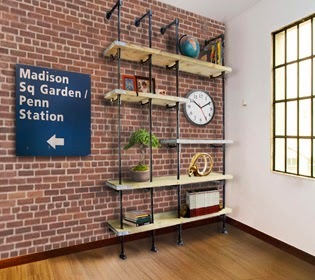 ), click the above link, or if you're looking for a way-finding sign pointing the way to Madison Square Garden or the Empire State Building, click here. It doesn't get more New York City than this. 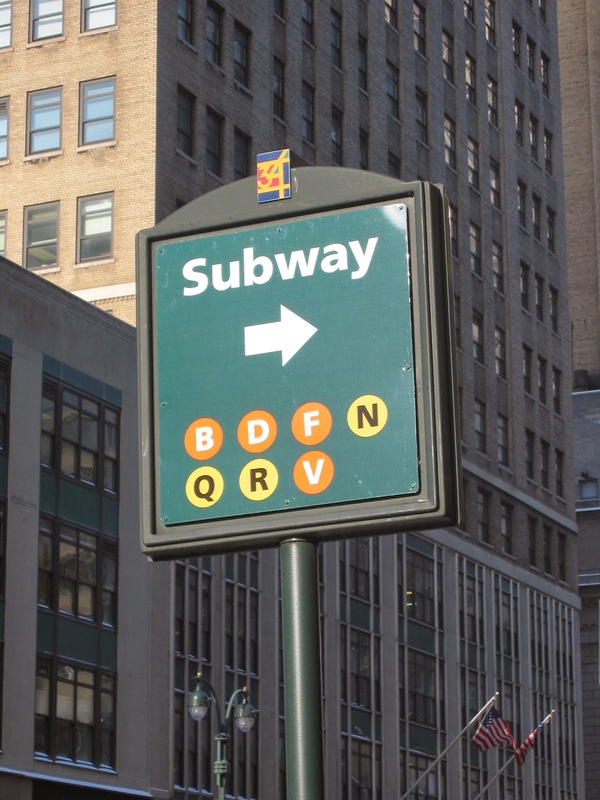 These signs were previously in use in the 34th Street District, and all pieces bear distinct wear patterns resulting from everyday use and weather conditions. 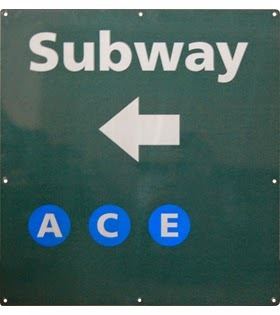 Prices are $200 for the street signs and $250 for the way-finding signs. 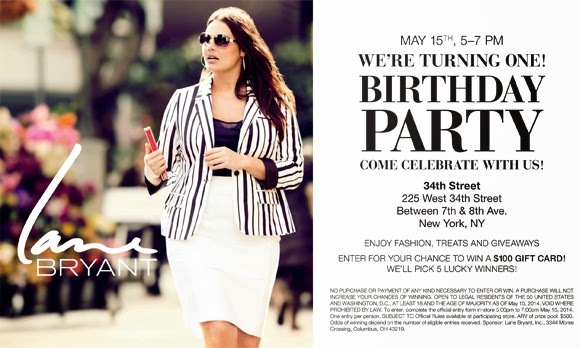 If you'd like a particular street block (eg: 463-479 Seventh Avenue, see above), email bpshop@urbanmgt.com for availability. 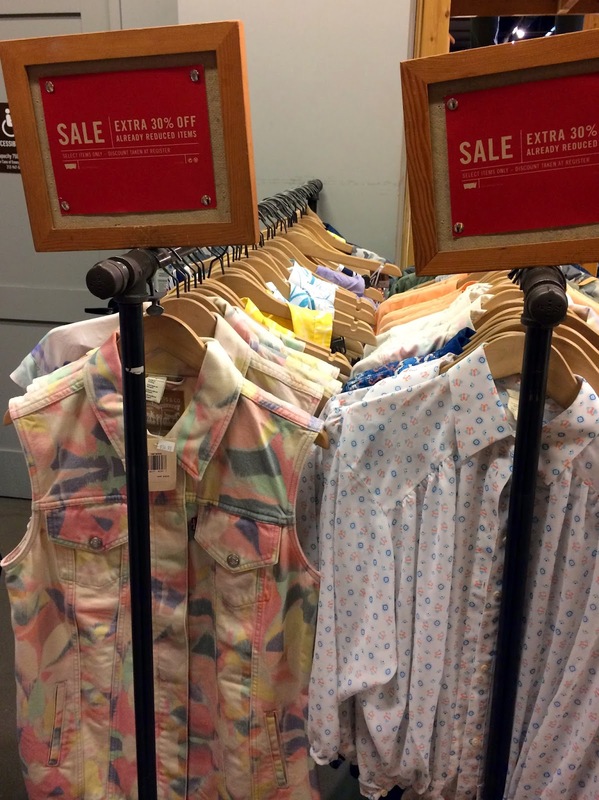 All proceeds from sales go back to the non-profit company, the 34th Street Partnership (owner of this blog and my employer), to support its design, sanitation, security, and horticulture departments that beautify and maintain the area's streets and parks. 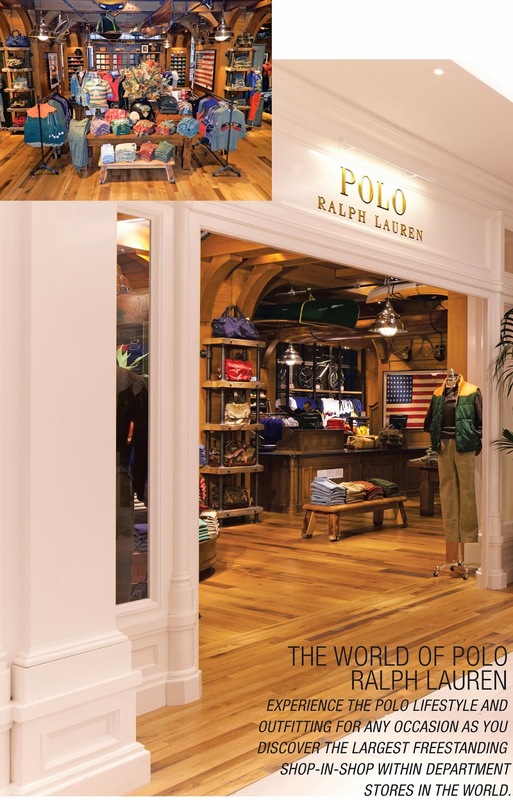 ... and specifically, some classic looks for Dad this season, including Polo Ralph Lauren and Lacoste. 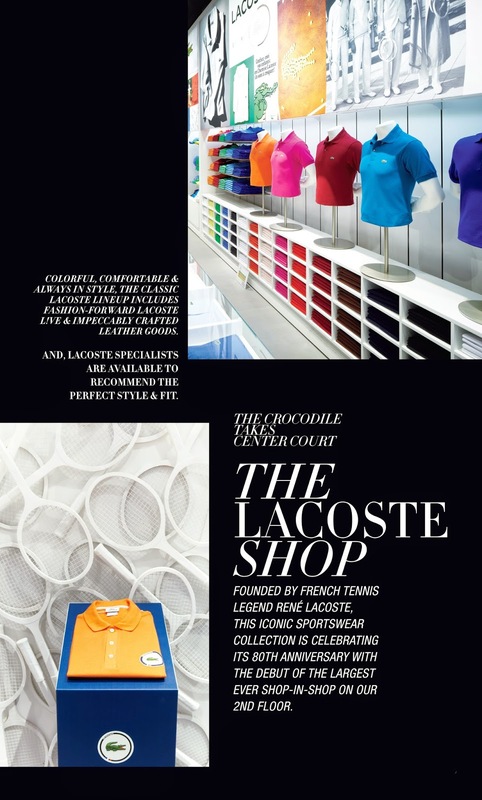 Both brands have gorgeous, shop-in-shop boutiques in Macy's Herald Square, with Lacoste boasting the largest ever shop-in-shop on the second floor. 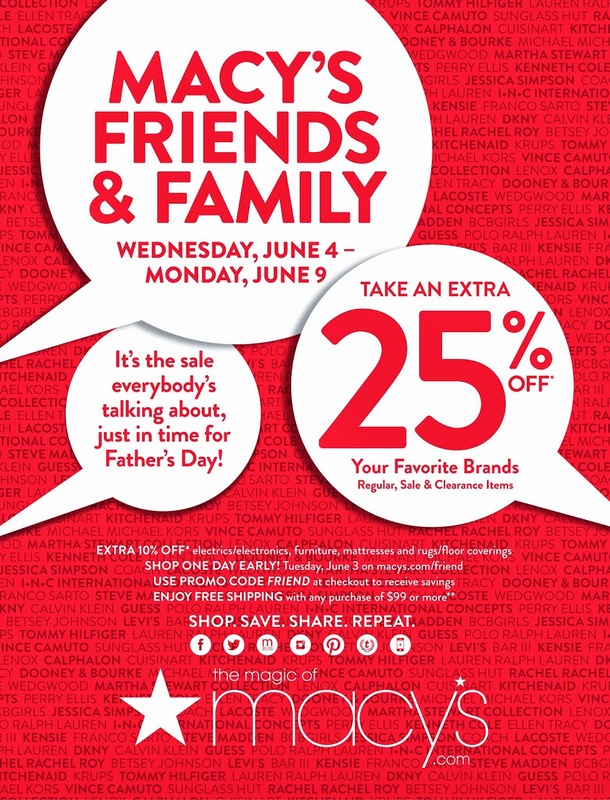 But maybe you're not shopping for Dad? 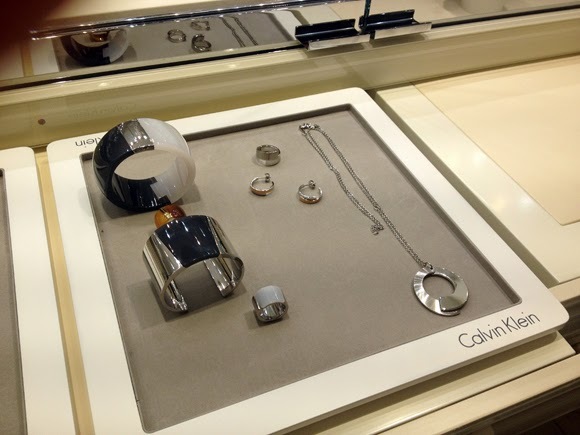 In that case, Macy's Herald Square is happy to help you treat yourself with a little something from their fine jewelry department. 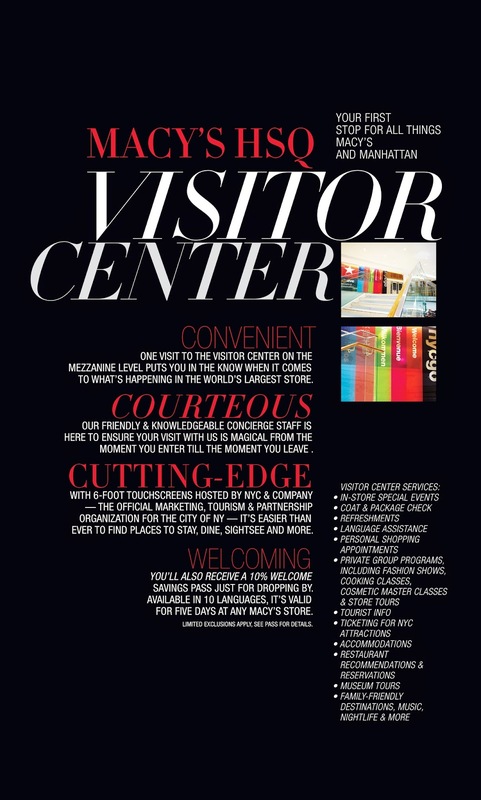 And a reminder to all of our out-of-town shoppers: Don't forget the new, state-of-the-art Visitor Center on the Mezzanine Level. 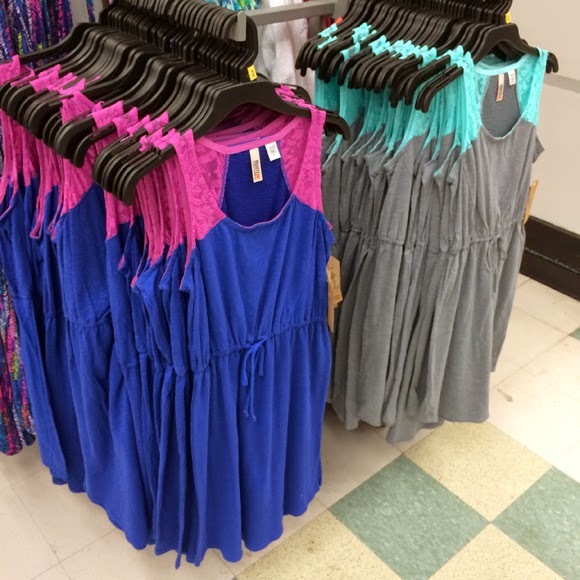 What a sale: starting tomorrow through closing on Monday, May 26th, it's BOGO free on everything at Lane Bryant! 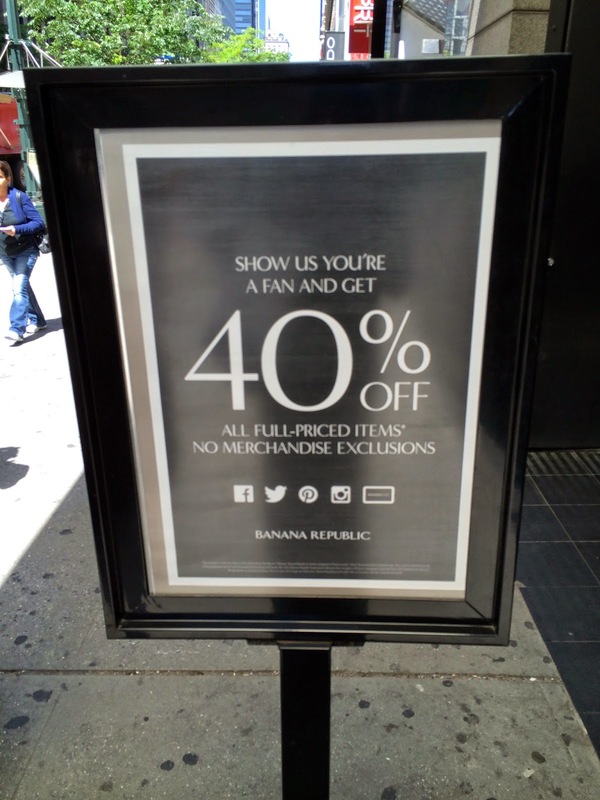 Picks below are from the website, but I'm sure you'll find all you need at the Lane Bryant 34th Street flagship (please see store or website for details). Isabel Toledo sheath dress, $128, jacket sold separately. 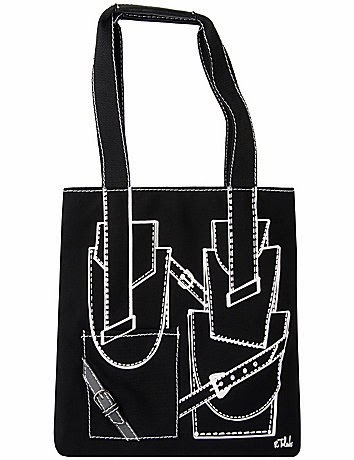 Buckle tote with graphic by Ruben Toledo, $60. Simple, pretty maxi, $79.95, and adorable fabulous asymmetrical zipper skirt, $78. So perfect in every way. 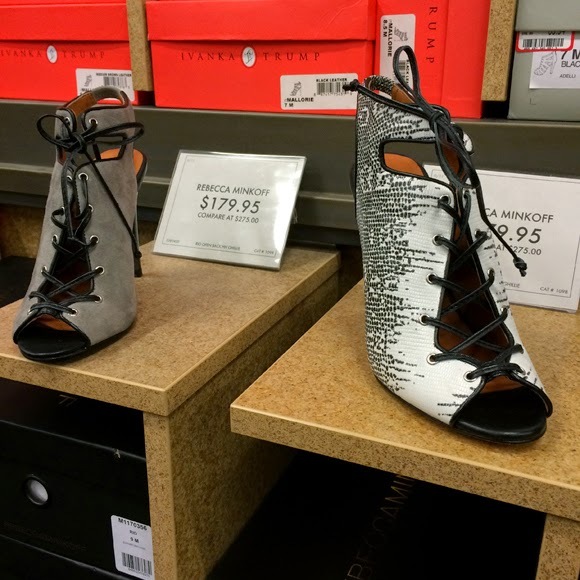 Find them both at DSW on 34th Street. 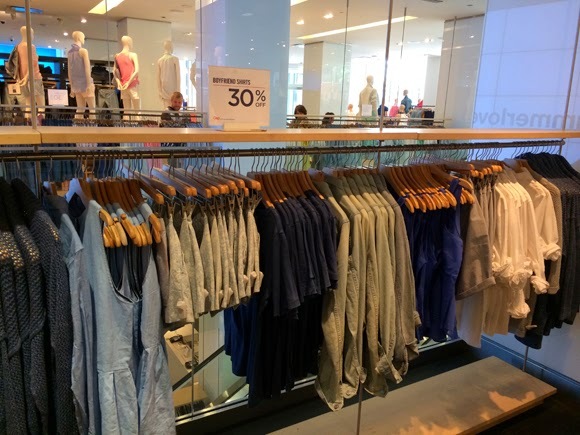 Last week, while perusing the Hour Passion Baselworld watch preview, I was struck yet again by the range of prices in Swatch's multi-brand boutique. 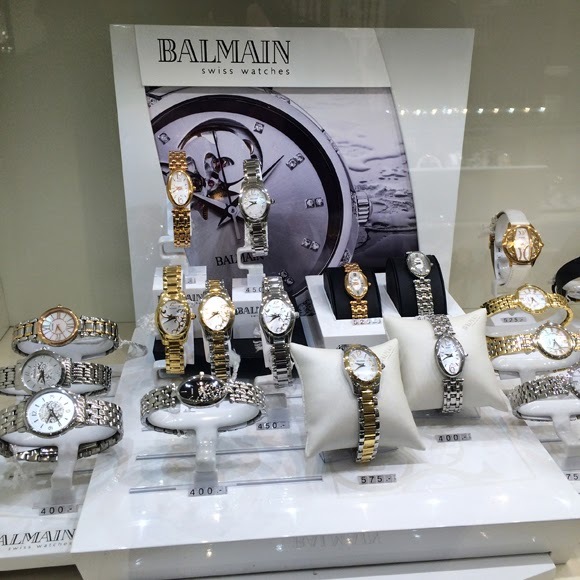 From the outside, a shopper might think Hour Passion is too luxury for their timepiece needs, so today I want to show just how far your dollar can go in this mecca of Swiss watches. 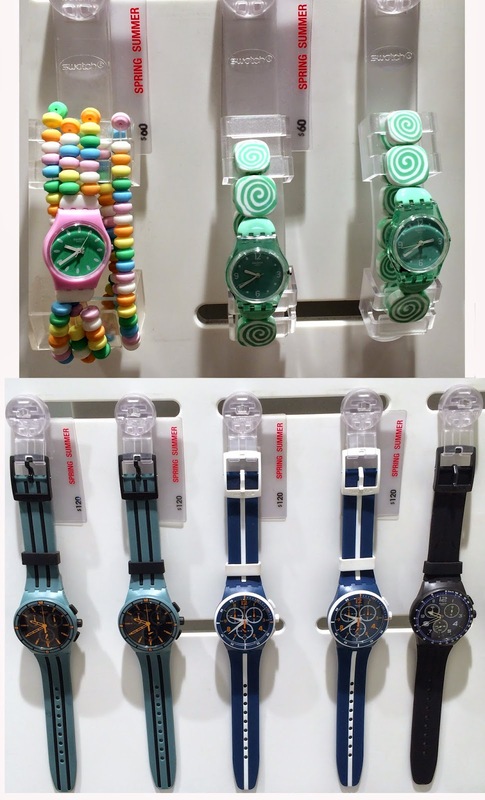 First up, the Swatch watch, spotted in fun candy themes for summer for $60, and chic nautical stripes for $120. 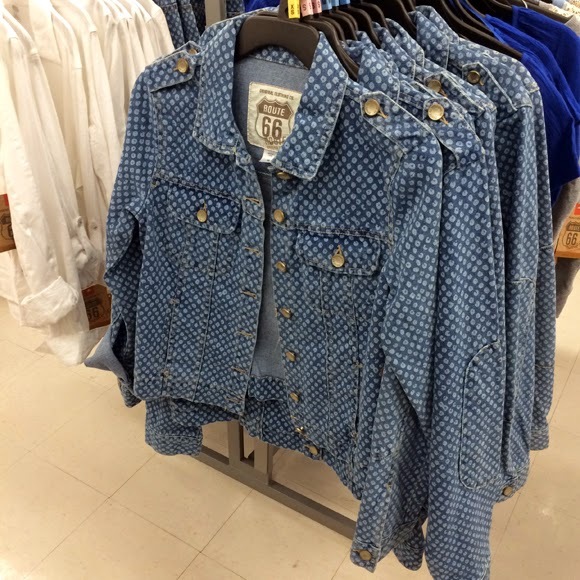 Next, Balmain, starting below at $400. ...and on up from there in several brands, including the prestige brand Longines, and the Hamilton watch featured in our Baselworld post last week, below, that will be available later this year for $3,295. Impressive, right? Hour Passion also has repair on site and a lounge and showroom on the second floor. Yes, I'm Route 66 obsessed. 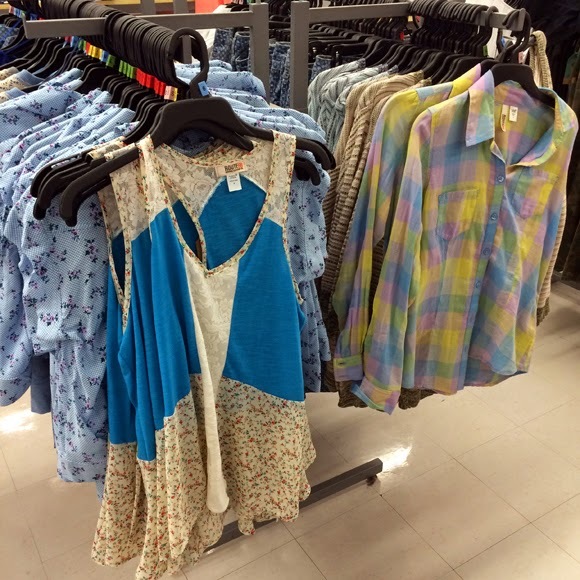 It's the section I'm drawn to when I visit Kmart Penn Plaza's first floor. But its adorable, music-fest-meets-grunge-meets-junior styles get me every time. 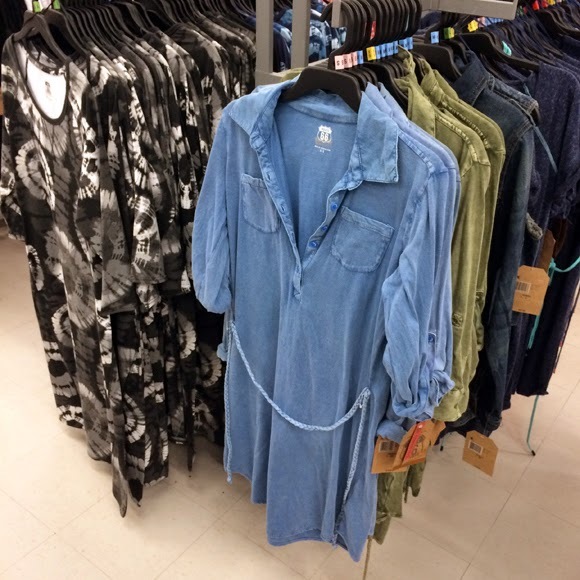 I would even recommend us girls out of our twenties to try on Route 66 dresses for lightweight and cool weekend options. Love this soft chambray look. 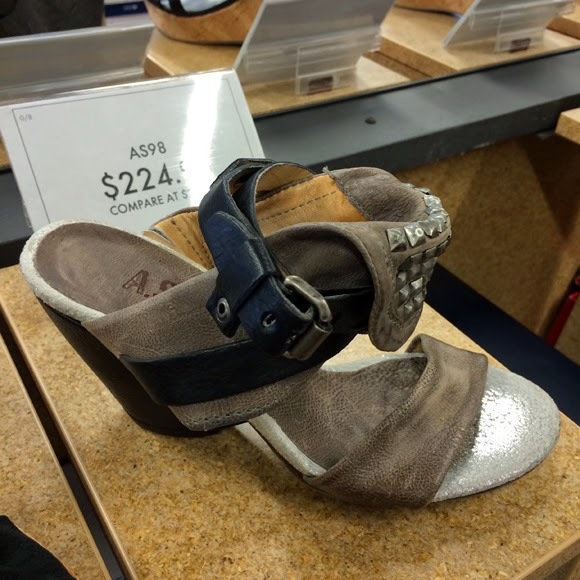 Because you're going to need something to throw on top of that dress when dancing in the desert. 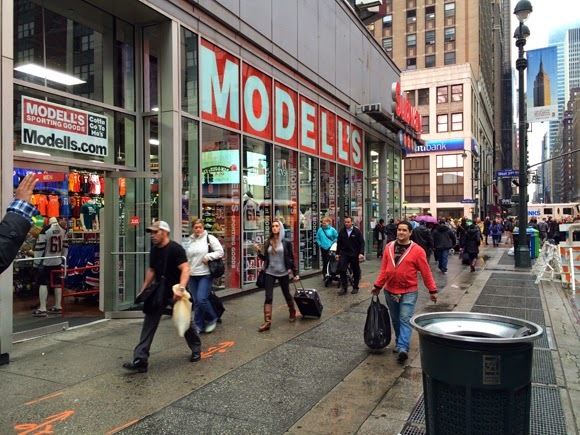 Modell's has moved into One Penn Plaza, the space that previously housed the American Eagle Outfitters pop-up. No word on whether this is a permanent spot for the sporting goods retailer, or preparation for Herald Center renovations. Modell's store in Herald Center at 1293 Broadway is in the lower level, so this new location gives them some great street frontage on 34th Street. 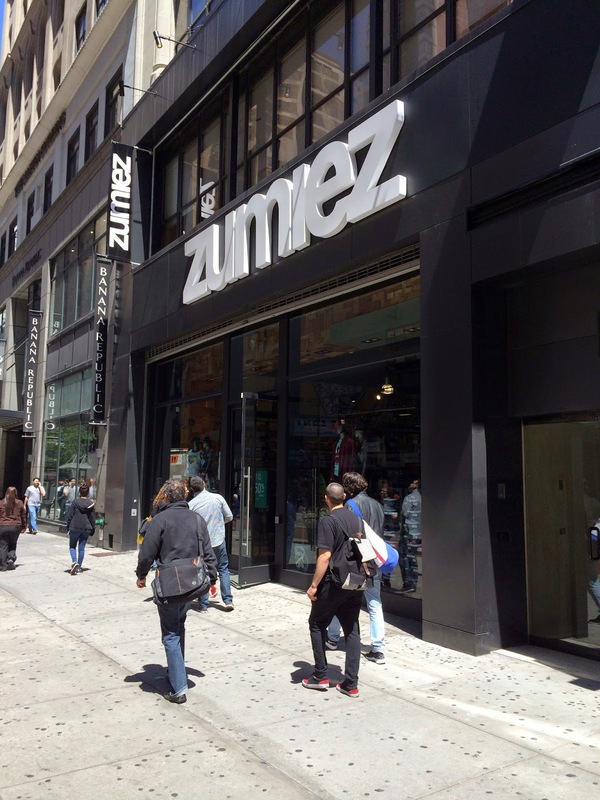 And they wouldn't be the first sports-related retailer to have more than one store in the 34th Street district. Either way, we welcome you to the every-burgeoning West End, Modell's! 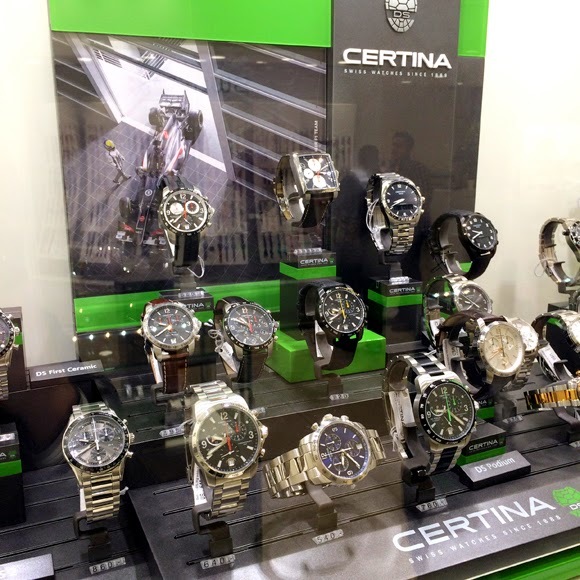 Last week we had the opportunity to check out Baselworld 2014 watches at Hour Passion on 34th Street, and it was a morning filled with gorgeous timepieces and impressive technology. 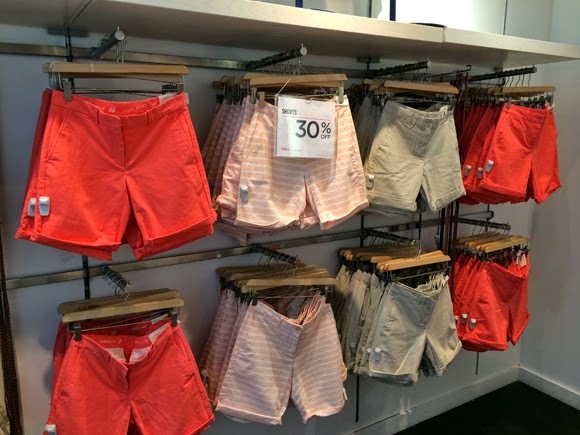 Below are a few of our picks from the collection, but be sure to stop by Hour Passion on 34th this summer to peruse their brands' new collections. 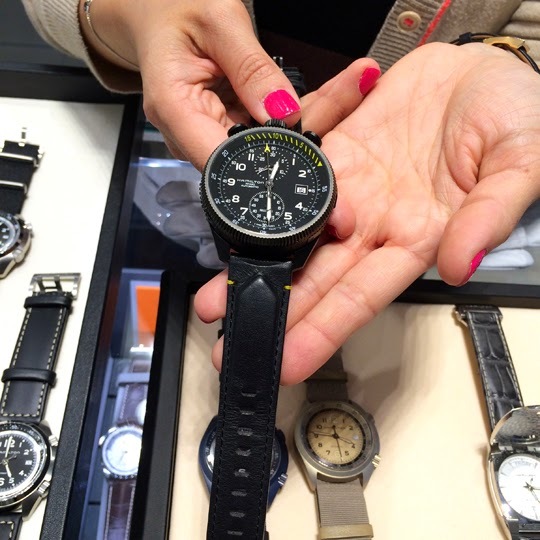 The Hamilton Khaki Takeoff Auto Chrono Limited Edition. This watch is inspired by the brand's aviation history, and the watch can be easily removed from the strap for placement on your plane's dashboard. Adore. Now I just need a plane to go with it. Click here for more info on this modern version of a WWII design. 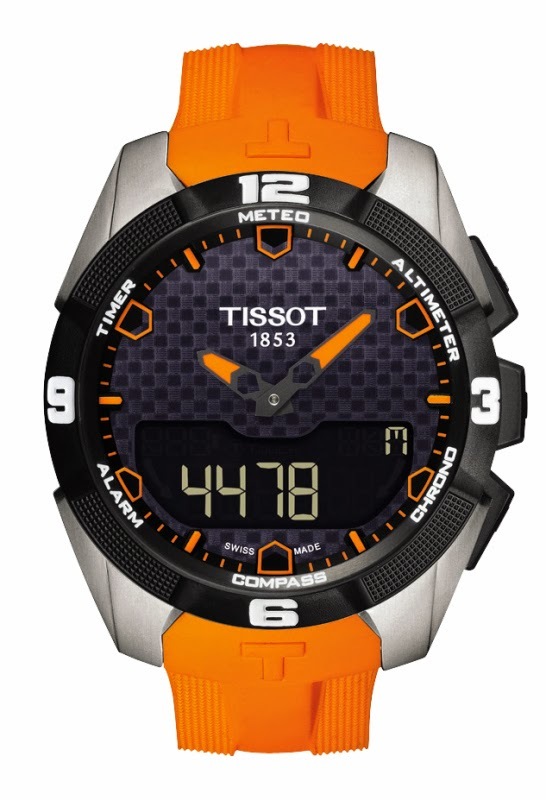 The biggest announcement of the year for Tissot is their T-Touch Expert Solar, the world’s first ever solar touch watch. It has 25 tactile functions including compass, alarm, mini-GPS, altimeter, and chronograph, and the strong solar charge requires only one week of access to light to keep the charge for a full year. Bonus: it comes in colors like this fabulous orange, above. 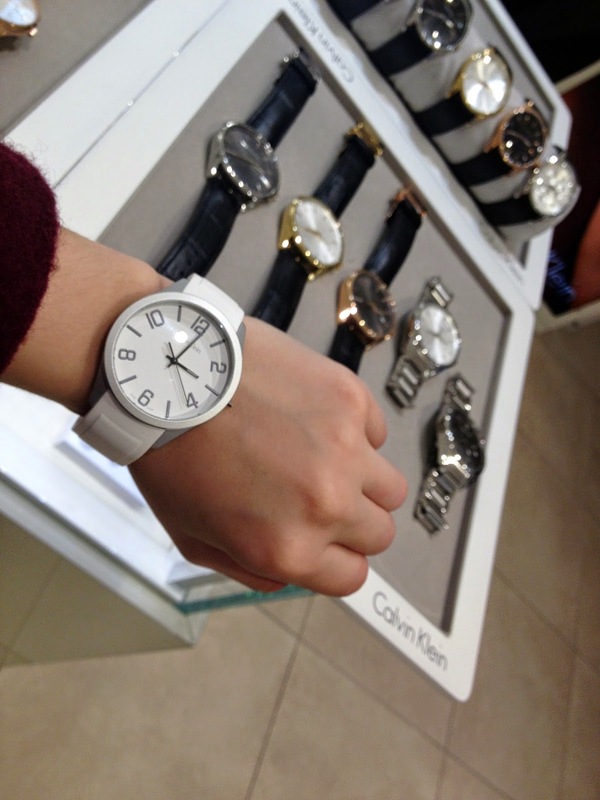 For those of us who only want white this summer, the above Calvin Klein watch will fulfill all your timely needs. And their jewelry below? Stunning. 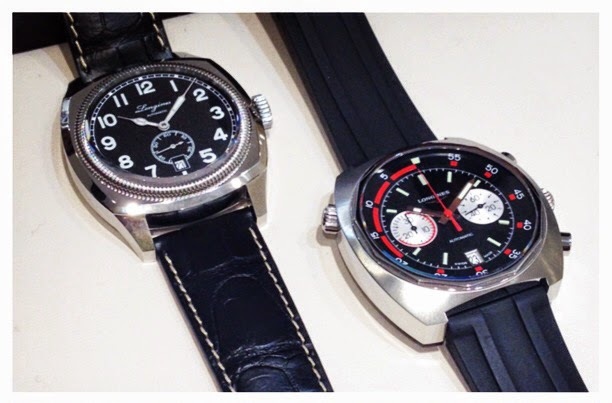 A couple picks from elegant watchmaker Longines, above: a 1930's watch with a leather band and a modern diving watch. 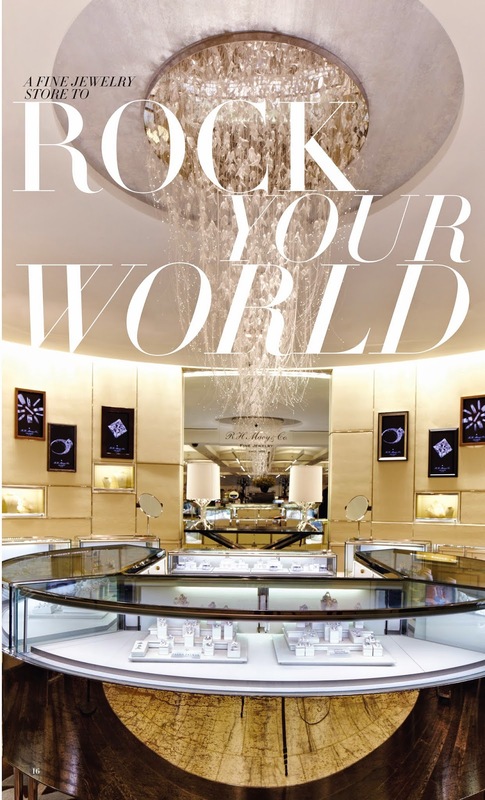 Longines is Hour Passion's prestige brand, and the 34th Street location has impressive depth in the brand's luxury steel and gold timepieces. 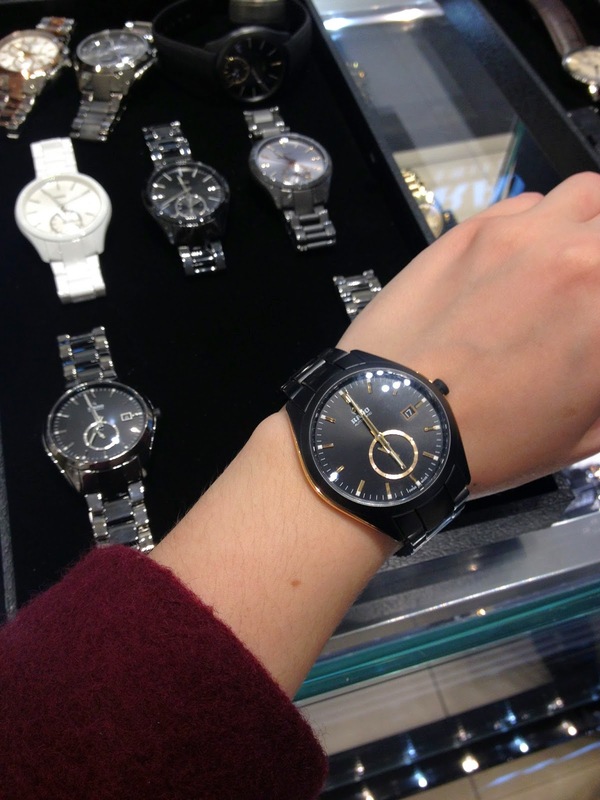 We will end with Rado, a brand popular with tennis players and well-represented at Hour Passion. This handsome men's watch from their Baselworld collection has a two-time zone display.